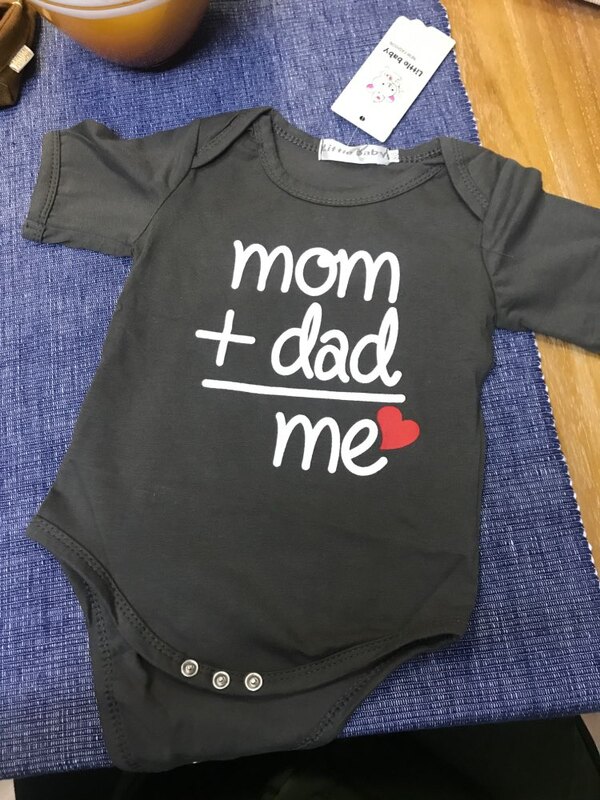 Funny and Cute Baby Onesie Sayings Mom + Dad Equals Love Me. Super material. Wzięłam bigger size, but turns out that is perfect, can slightly too large, but holiday will be perfect. A baby will have a year.